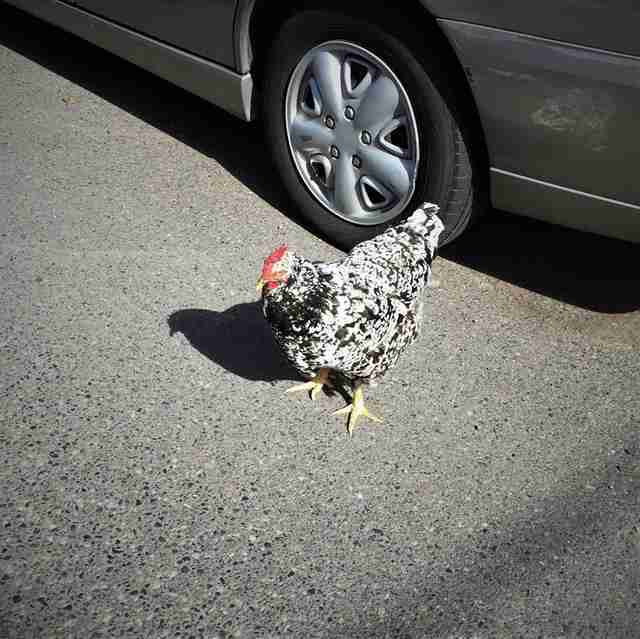 This wayward chicken now has plenty of time to sit and ask himself that age-old question: "Why did I cross the road?" After all, it was his insistence on doing so that recently landed the bird behind bars. 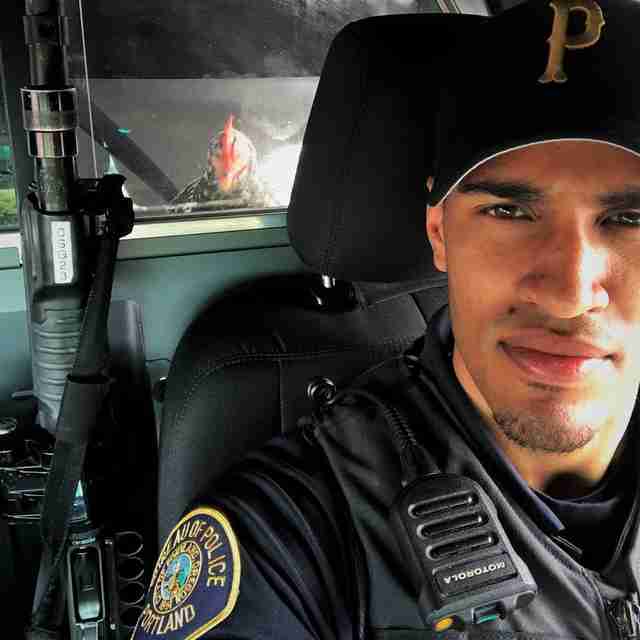 On Monday, Oregon's Portland Police Bureau reported that Officer Daniel Trummer had discovered the rogue chicken wandering alone by a busy intersection near the center of town. Where the rooster had come from was anyone's guess. It's unclear if the chicken will be charged with resisting arrest, but he wasn't eager to be apprehended. Trummer reportedly needed a helping hand just to corral the independent bird. 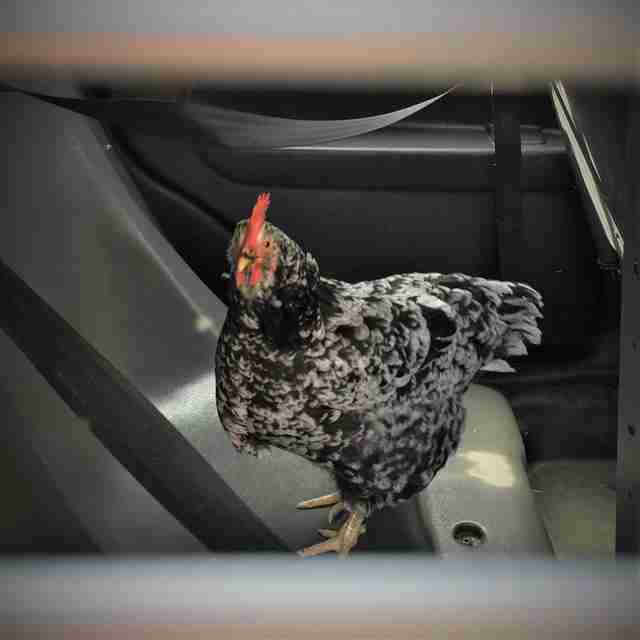 "With the assistance of a community member he was able to get the chicken into his patrol car," the police bureau wrote. The bird's jaywalking spree had been brought to peaceful end. 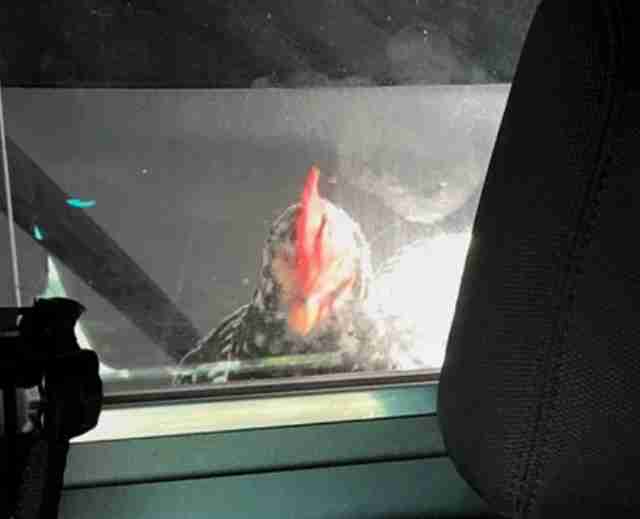 Judging from the menacing way the chicken kept staring from the back of Trummer's patrol car, however, there's some doubt about whether he actually learned his lesson. Trummer was evidently willing to let the feathered suspect off with a warning, but was unable to locate his rightful owner. So, with that, the rooster was placed under the custody of a nearby animal shelter, where, after a brief period of confinement, his family later arrived to bail him out. Fortunately for the arresting officer in this case, not all his animal encounters have been so unpleasant. Trummer's handling during this chicken incident, meanwhile, is earning him plenty of praise online. 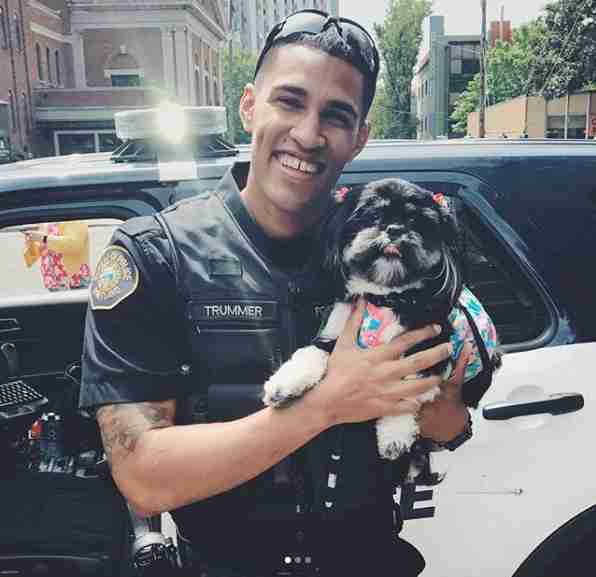 "This just shows how the officers go beyond the normal in their line of duty," one commenter wrote. "Thank you for the dedication doing your job daily."